The 6-hour program will be presented by Loren Marks, DC, DACBN, who has been in private practice in New York City for 31 years, has taught Clinical Nutrition for the past 21 years across the U.S, and is the founder of Integrative Assessment Technique. While many courses outline the stages of adrenal exhaustion, Dr. Marks focuses on identifying the perpetuators of adrenal exhaustion—the keys to effective management and resolution of chronicity. 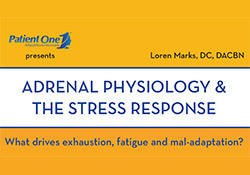 “This workshop will give you the foundational background, insight and practical clinical techniques to confidently work up and treat patients who may present with conditions and symptoms of adrenal exhaustion,” noted Dr. Marks. The seminar will be held at Trattoria Dell-Arte, 900 7th Avenue at 57th Street in New York City from 8:30 am to 3:30 pm on November 7, 2015. Early Bird registration is $99 (or $129 after October 29) and includes lunch and a BioHealth Labs Adrenal Stress Test Kit. The conference sponsor, MediNutritionals Research LLC, is a healthcare practitioner exclusive supplement company. Patient One MediNutritionals span categories including Cardiovascular Support, Immune Support, Digestive Support, Bone and Joint Support, Cognitive Support, Endocrine Support, Healthy Aging, Detox and Weight Management, Emotional Wellness, Eye Care, Men’s & Women’s Health and more. 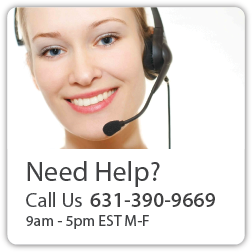 For more information, call 877-723-0777 or visit www.patientoneformulas.com/seminar.